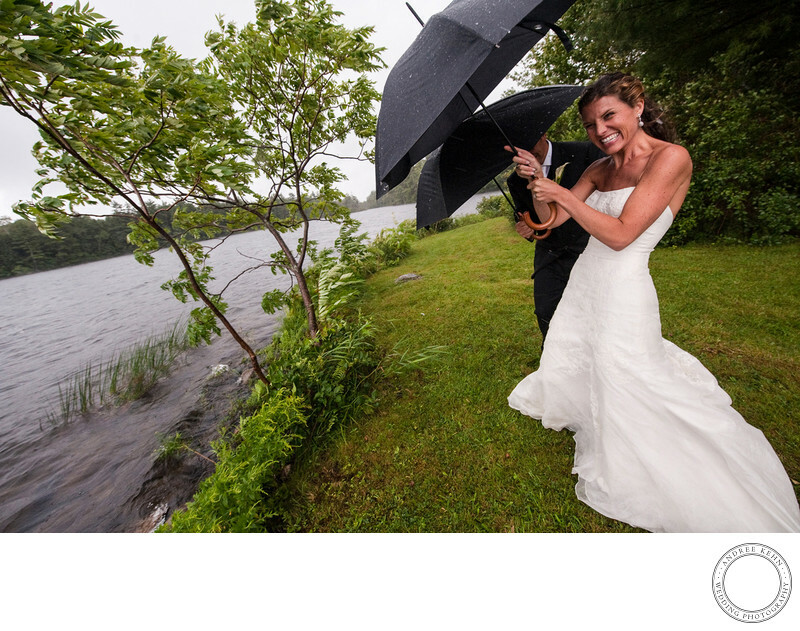 A hurricane can bring wet weather to a wedding but it can't dampen the sprits of a fun loving Maine bride. This couple ended up with a wet wedding day, but they had a fabulous wedding day. And as they had been planning on an outdoor wedding, they chose to run around outside with their umbrellas and enjoy the day. The wind almost took the for a ride, but they held on tight and got some of the most memorable wedding photos you could hope for in the state of Maine. 1/320; f/7.1; ISO 2500; 14.0 mm.